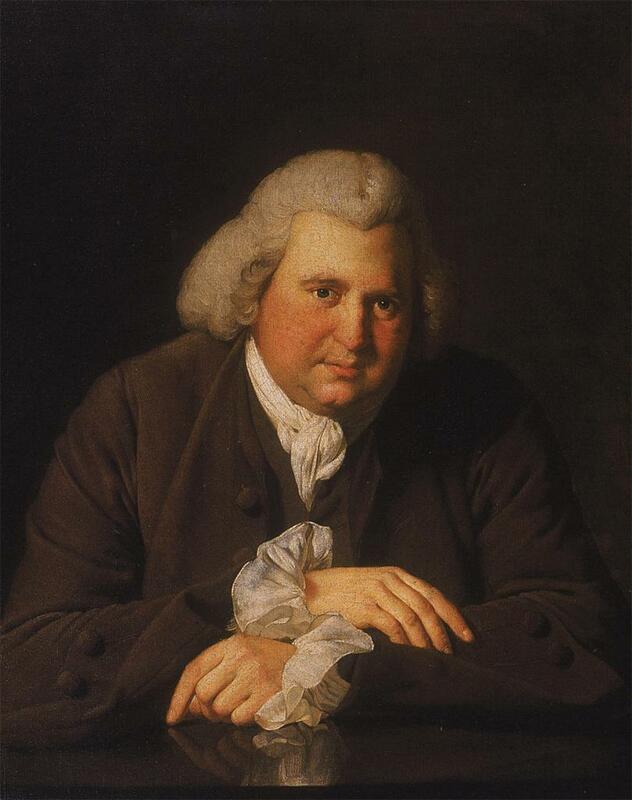 Erasmus Darwin (1731–1802) was a famous physician, researcher, inventor and natural philosopher. In poetry and essays, he popularised the science of his time. He also presented a well thought out theory of evolution in all his major works, where he got around some of the traps that Jean-Baptiste Lamarck fell into when he published his theory in 1809. Erasmus’ grandson, Charles Darwin, repudiated that he would have been influenced by his relative. He also played down his paternal grandfather’s importance as a forerunner to the theory of evolution. Thus, for a long time, Charles Darwin affected how Erasmus was captured for posterity. He got a reputation for having produced only sketchy speculations about the origin of species, wrapped into an eccentric kind of popular science consisting of bad poetry. It was not until modern times that Erasmus Darwin was rediscovered by researchers in the history of science and ideas. He has now retrieved his place in history as one of the most original and perceptive scientific thinkers of his time. As a matter of fact, Erasmus Darwin’s theory of evolution was quintessential for his natural philosophy. According to him, it was not only life that had developed from a simple original condition into more and more complicated organisms, but the whole universe had, through self-organising processes, developed from a formless chaos into the cosmos we now live in. The human progress should also be seen as a part of this universal tendency towards perfection. Erasmus Darwin was most probably an important source of inspiration for Robert Chambers’ Vestiges of the Natural History of Creation (1844), where the same opinion is expressed of the progress of the universe, life and civilisation. Chambers’ work is also an important forerunner of darwinism that has been belittled. The universe of Erasmus Darwin is cyclical. Our world will moulder when the constructions of the heavens have reached their culmination. Everything will return into the original chaos — and a new glorious universe will emerge like a Phoenix from the ashes, with new hopes for the future. This idea, as modern as it may sound, is obviously inspired by ancient thoughts, perhaps most notably De rerum natura by Lucretius, but updated with deism, newtonism and the optimism of the enlightenment era. Here the aged Erasmus Darwin explains the philosophy he developed during his life. The Temple of Nature (1803) describes the genesis, evolvement and end of the universe — and the place that humanity occupies in this world. It relates to the author’s previous work The Botanic Garden (1791), but can be read independently. 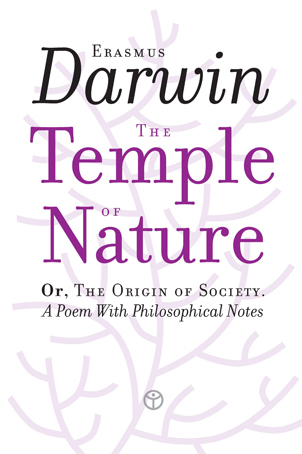 Timaios Press is now publishing The Temple of Nature in a modern volume, where the numerous Latin quotations have been provided with translations. The Botanic Garden will be released by Timaios later this year, 2016.